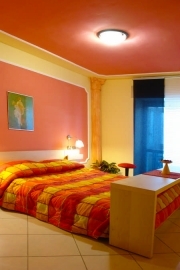 The Bed and Breakfast "Cave Canem" is located 100 meters away from the main entrance of the archaeological site, 100 meters from the Sanctuary of our Lady of Pompei and 300 meters from the railway station. Thanks to its position right in the heart of the city, it is well connected with all the major tourist areas of Naples, Herculaneum, Vesuvius, the Sorrento Coast and the Gulf Coast through the network of public transport (Train, Bus) which enable visitors to reach easily all the destinations. The B&B has 3 nice and comfortable double, all of them with kitchenette and en suite bathroom. Everyday room cleaning. The owners are hospitable and always attentive to the needs of their guests. They’ll offer advice on all cultural events of Pompeii, cafes and shops. Exit at Pompei west and continue to the centre of town. 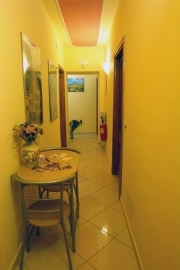 The B & B is located in Via Vittorio Emanuele III, 8.